Last night was the first Monday of the month, which means it's time for Musical Mondays at Hell's Kitchen! If you're a fan of musical theater, you need to attend one of these monthly cabarets featuring fabulous local talent performing musical theater songs, with a different theme each month. But be forewarned - like potato chips, once you attend one you won't be able to stop! 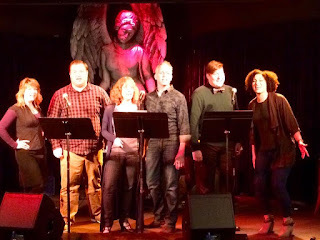 Musical Mondays has also become a monthly gathering of the Twin Cities Theater Bloggers; this month I was joined by Gina from The Room Where it Happens, Laura from One Girl Two Cities, and Keith and Carol from Minnesota Theater Love. A good time was had by all as we discussed all things local theater (from impressive abs to impressive new musicals) and enjoyed some fun entertainment over yummy food and drinks. Join us on May 2, when the theme is "the lusty month of May!" Become a fan of the Musical Mondays Facebook page for information on schedule and performers. The theme for April was the music of composer/lyricist Stephen Schwartz. I know him mostly for writing one of my favorite musicals Wicked, and also his two successful shows from the '70s Godspell and Pippin. 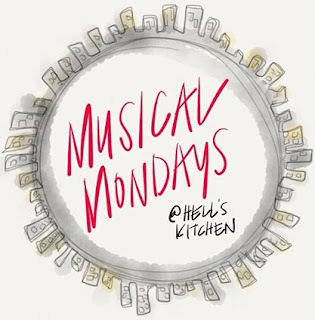 But as usual with Musical Mondays, I was exposed to many more songs and shows that I didn't know (although Minnesota Theater Lover Keith, a much bigger musical theater nerd than I am, could identify most of them). 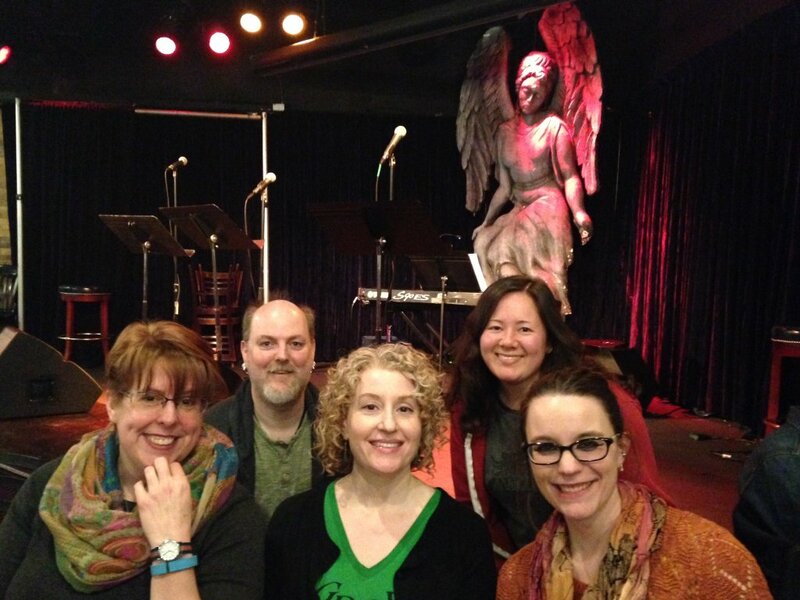 The evening was heavy on Pippin (five songs!) and light on Wicked and Godspell (one and two songs, respectively), with some The Hunchback of Notre Dame, The Baker's Wife (which can be seen at Artistry this fall), and other shows sprinkled in (see the full songlist on the Musical Mondays Facebook page). Cameron Reeves: summer stock in Virginia! In addition to the above goodness, we also were treated to a sneak peek of Minneapolis Musical Theatre's Leap of Faith, opening April 29 at New Century Theatre. After watching the huge cast that nearly overflowed the Musical Mondays stage almost bring the Hell's Kitchen roof down, I look forward to seeing the show in a few weeks!